To rent a car drivers must be over 21 and have a valid drivers licence for over 2 years. Prices include 2 drivers per car. Theft of personal property is not covered by insurance. Insurance rates include public liability and property damage, fire and theft of the car but don’t cover customer’s luggage and other personal items. Other countries: Rented cars can’t leave Portugal and travel to any other country without request in advance since special insurance is required. Please contact us for details. All cars must be returned with same amount of fuel as delivered. No deposit or any pre-payment is necessary in order to book. We accept debit card or cash for your rental hold in alternative to Credit Card. When you pick up vehicle, we request car rental payment in cash or debit card and an Excess (in cash) to be return if no damage had been done in the car. We don’t charge for cancellations made before arrival date but please let us know as soon as possible. 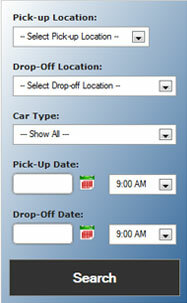 If possible, according to availability, dates can also be changed without charge (depending on availability). We don’t return credits if clients return a car before the contracted day of departure. Cars can be delivered wherever you want within Lisbon area and Lisbon’s airport – you can pick it up upon arrival at Lisbon airport and return it there also or arrange for it to be delivered at your hotel. If your flight is delayed we will wait for you but please contact as soon informing of your new expected time of arrival so we know what to expect. Speed limits in Portugal vary from 50 km/h (31 mph) in towns, 90 km/h (56/62 mph) outside built-up areas and 120km/h (74 mph) on motorways. Blood alcohol limit is 50mg (0.5). Pay Tolls are present in almost every highway and bridge in Portugal. Toll fees are to be paid by the client in cash or debit/credit card at the toll. When approaching a toll, stay out of the “Via Verde” lane, which is exclusive for cars with an automatic toll payment system. You will be directly notified by local authorities regarding any pending driving infractions and consequent fines, pay-toll fees, parking tickets, etc occurred during contract period. Under Portuguese law Rent-a-car companies (Lusoguer) take no responsibility for any payment.